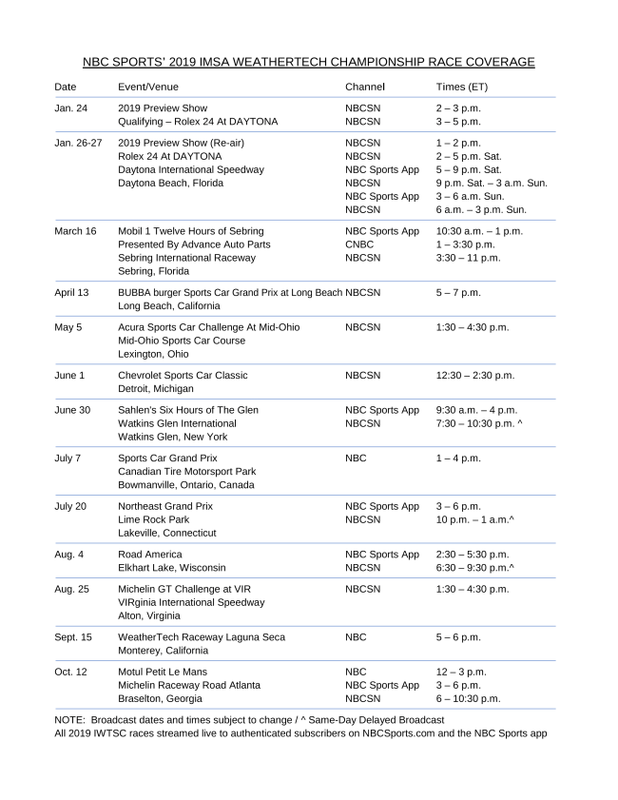 On Thursday, NBC Sports and IMSA have released the broadcast schedule for the 2019 IMSA WeatherTech SportsCar Championship. Announced in April, NBC takes over as the new television partner for IMSA in 2019. 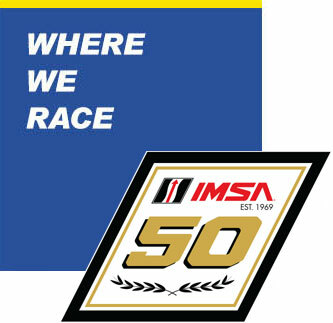 IMSA prepares to celebrate its 50th anniversary this year. 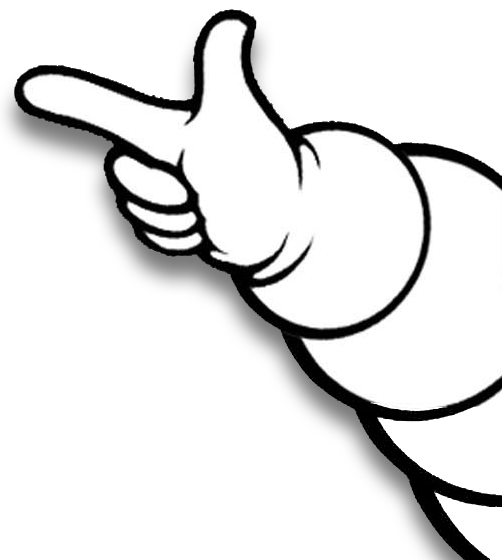 Michelin also becomes the new Official Tire of IMSA this year. 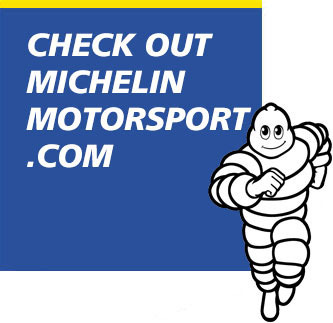 IMSA races on the NBC network are at Canadian Tire Motorsport Park, WeatherTech Raceway Laguna Seca and Michelin Raceway Road Atlanta. Besides the NBC network, NBCSN, CNBC and the NBC Sports App will air IMSA’s races. 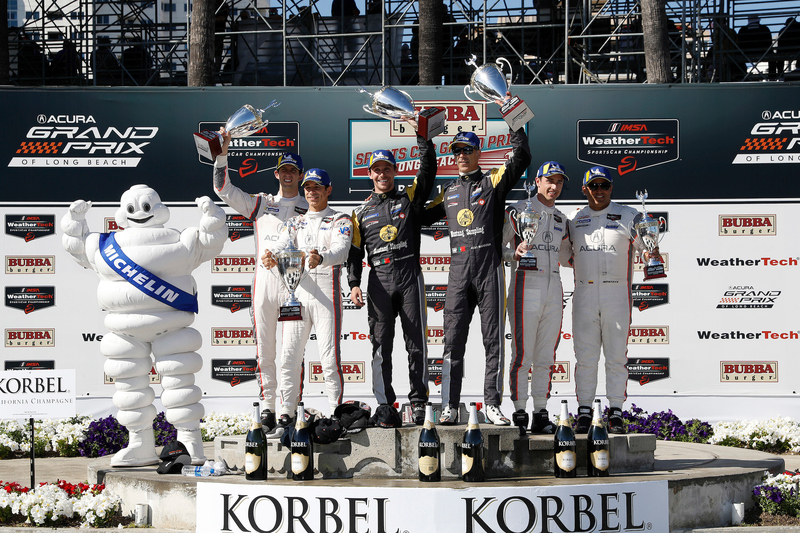 A special one-hour IMSA preview show airs Thursday, January 24, at 2 p.m. ET before live qualifying for the Rolex 24 at Daytona at 3 p.m. ET. NBC Sports Group’s full press release is linked here.